I was cleaning my bathroom yesterday and I really didn’t want to spend forever trying to get the soap scum off of my shower………. again! It really just builds up without you really noticing, but once it’s there it’s such a pain to get off. Yes, that’s all you need. The page I read said to use blue dawn for this and was very adimant about the fact that it had to be dawn and that it had to be the blue kind, so, I had a few problems, first off, I didn’t have any blue dawn I had pink Ajax. Second, that was my day to clean the master bathroom and it had to be done, and Third, I was not going to drag myself and all 4 kiddos to the store just to pick up some dish soap. 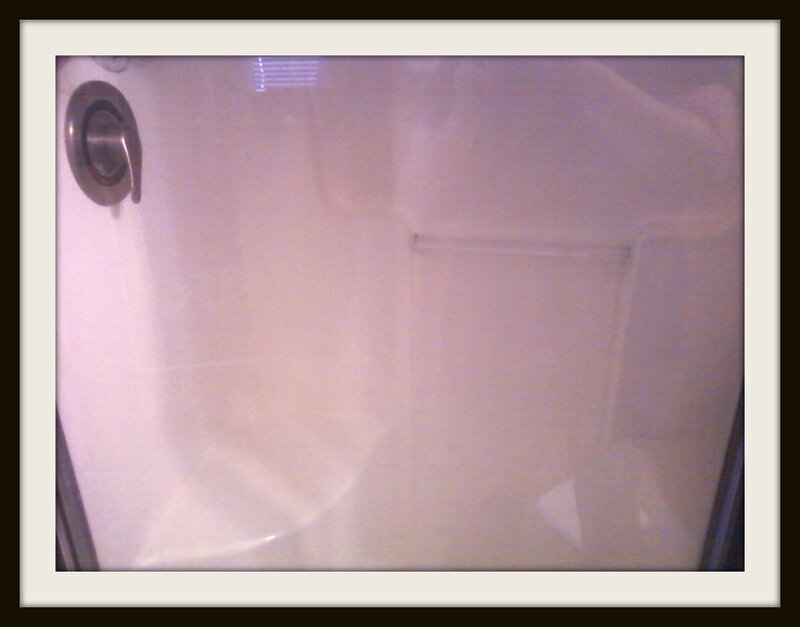 Take equal amounts dish soap and vinegar (1/2 cup of each was plenty to do my whole shower). Heat up your vinegar (I heated it in the microwave for 1 1/2 minutes) and yes, you do have to heat it up. Then, add the mixture to a spray bottle and spray it in your shower and on the doors then just wait. I let mine sit for a while I just sprayed it on and did the rest of my cleaning and came back to it when I was done. 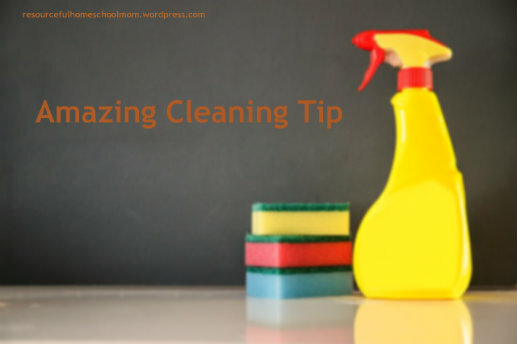 After you let it sit, take a scrub brush(you could use a sponge too) and give it a light scrub and then just spray the shower down and it’s spotless! That simple! 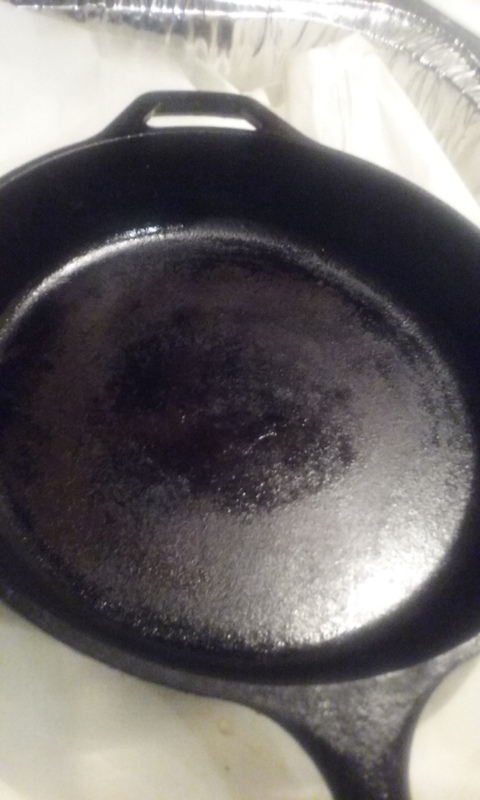 I really wish I would have taken some before pictures but I’ll be honest, I didn’t think that it would work at all and that I would just end up scrubbing it as usual but it did so I do have an after picture to share with you guys. Trust me, it’s a huge difference from what it was before and I’m so glad that it worked, I will be using this every single week now! Let me know if you get a chance to try this as well, let me know how great it worked for you as well, just comment below!